The stage has now been set for the biggest political battle between the Opposition and Government over the referendum campaigns ahead of the 2017 General Election. 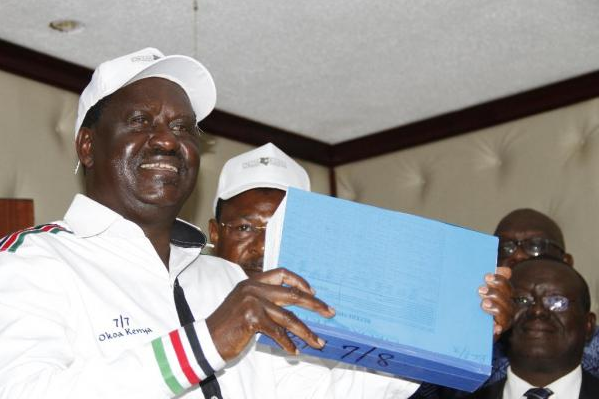 CORD leaders are pushing for the return of politicians to the Cabinet, sweeping electoral reforms and an enhanced role for the Senate in their referendum bid. IEBC has already received the 1.4 million signatures that are required for the referendum bill, and the commission has at least 90 days to validate the signatures before they move forward with it. The Coalition also proposes that a presidential petition to the Supreme Court should be filed within 12 days and not 7 days as currently provided for in law. They are now waiting for the IEBC to finalize with the signature before giving the go a head.